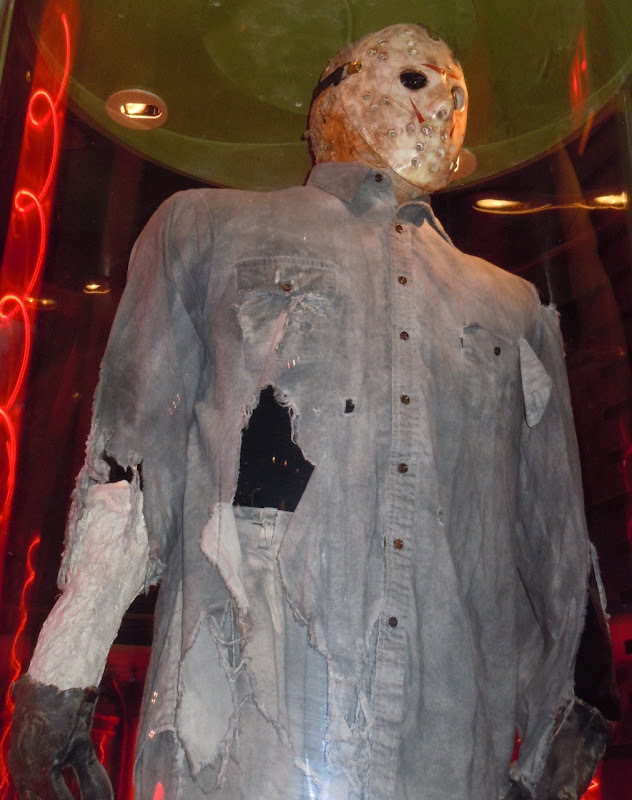 Today it's the turn of another classic horror villain and the costume and mask worn by Kane Hodder as 'Jason Voorhees' in Friday the 13th Part VIII: Jason Takes Manhattan. 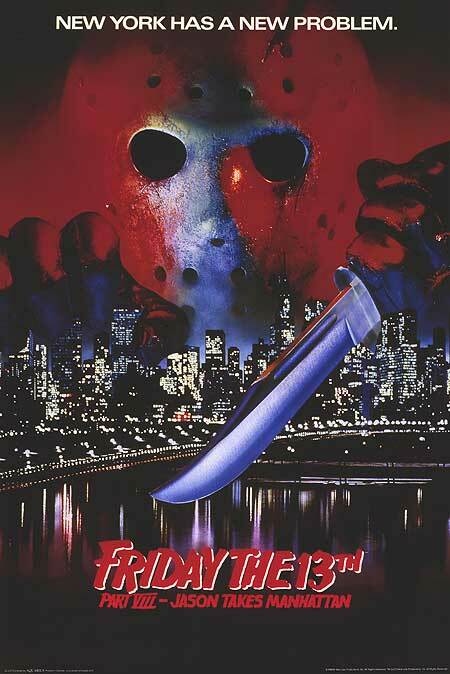 Just like Freddy Krueger and his scarred face and gloved hand of knives, Jason's hockey mask is a horror icon. 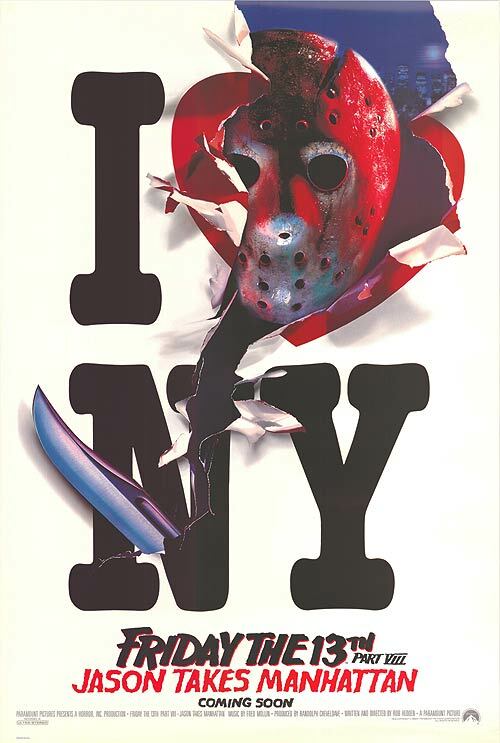 This movie found the undead serial killer stalking a group of high school students in New York City. 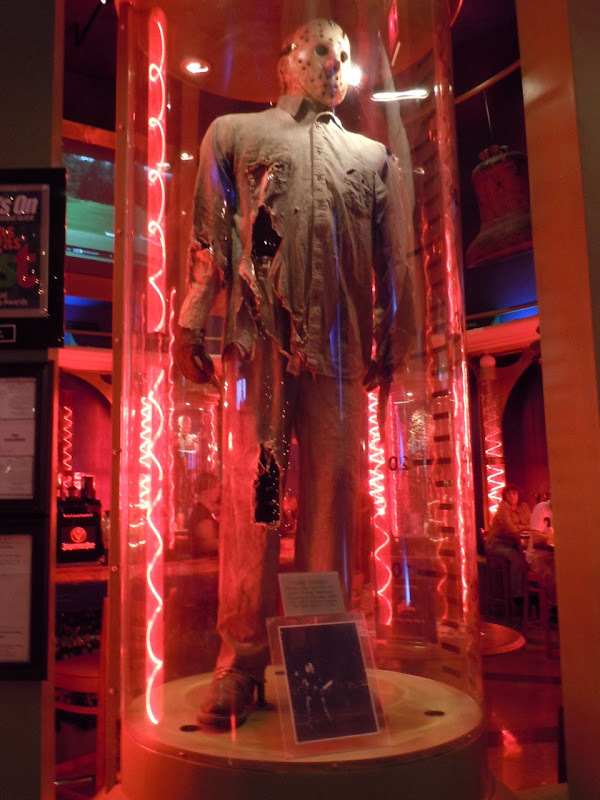 This original costume from the 1989 slasher movie sequel was on display at the Planet Hollywood Cafe in Las Vegas on April 7, 2011. 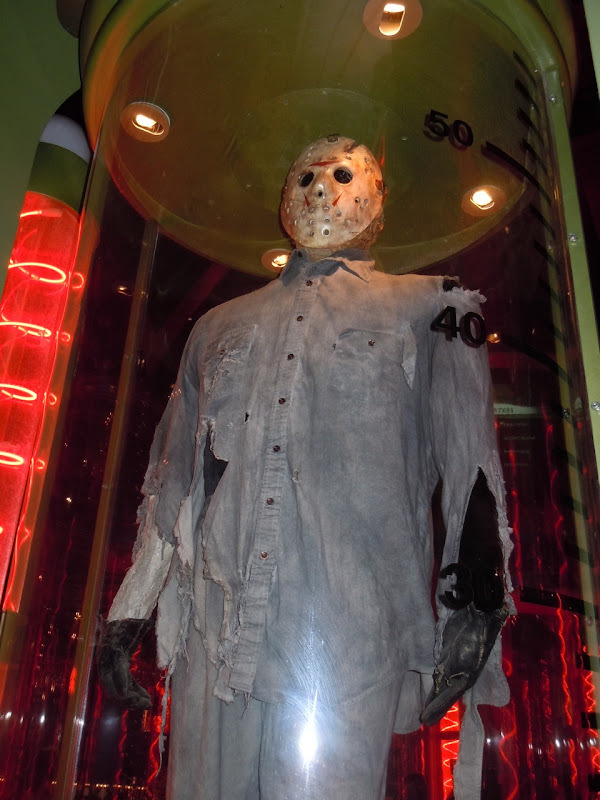 If you like this costume, be sure to check out Michael Myers classic mask and knife from Halloween on display. 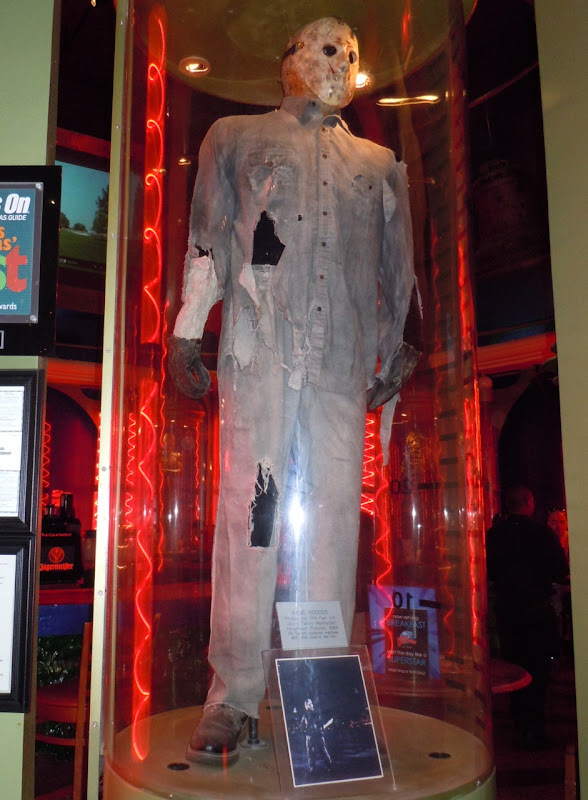 The suit was covered in wet slime during the filming process. To give that wet look. That is why It looked black. The original color is gray. However you are right with the mask. They didn’t put the original mask to the display. Instead, they put a replica of it.